Discussion in 'Workshop - DIY - Do it yourself' started by masha-m, Dec 20, 2009. Any tips for working with feathers? 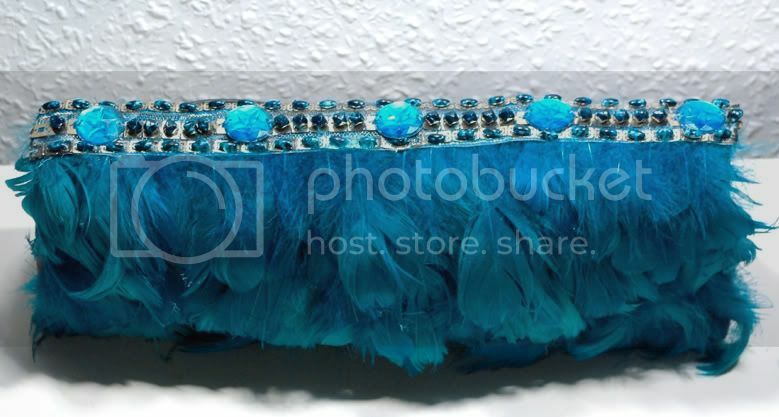 I covered old leather clutch with feathers and used hot glue gun. I recently made my own feather necklace attached to suede (see blog) and i used a hot glue gun. It stuck really well, but the glue got a bit messy! I think you should speak to somebody at a craft store and ask their opinion on the different kinds of glue.